Scientists have made another leap by growing an epidermis in the lab. The research would now possibly help the scientist and pioneers in the medicine to test and research for new drugs and cosmetics. The discovery is almost identical to human skin and behaves in the same way. 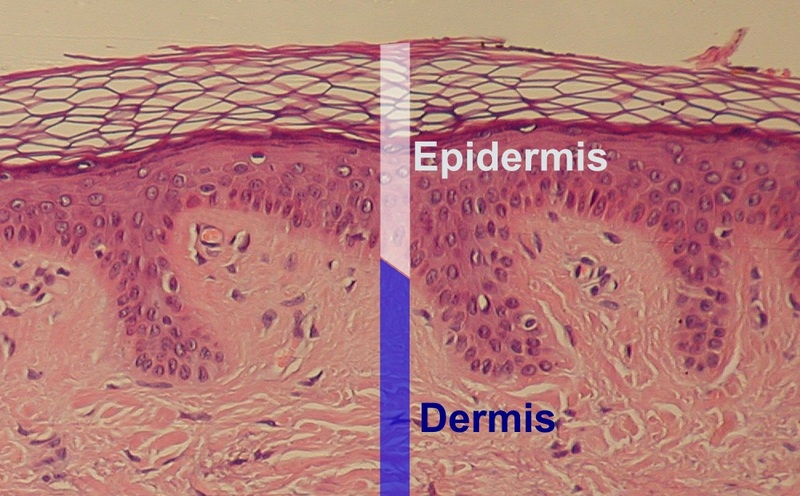 Scientists from both King’s College London and the San Francisco Veteran Affairs Medical Center made a success by growing the epidermis in the lab. The team of scientist faced many issues in accomplishing the research, and stated that the epidermis is highly complex as it protects the human body from the dehydration and the other harmful microbes. It acts as a shield between the body and the environment and stops the harmful bodies from entering into the skin. The lab generated epidermis was grown in a low humidity environment and was capable of stopping the water to come inside or the bodily fluids to drain out. “Our new method can be used to grow much greater quantities of lab-grown human epidermal equivalents, and thus could be scaled up for commercial testing of drugs and cosmetics. We can use this model to study how the skin barrier develops normally, how the barrier is impaired in different diseases and how we can stimulate its repair and recovery”, said Dr. Theodora Mauro, lead researcher, from King’s College London. The new method would end the use of animals in drug testing; animals, including the rabbits, monkeys, rats and dogs, go through intense physical and mental trauma. Although the lab tests, sometimes do not affirm about it results on the humans, the lab grown epidermis would help to have better and more effective results and would probably end the suffering of millions of animals. No, it would not end animal testing. Not even end animal testing associated with skin. What about other uses? Burn victims, scar revisions, injury repair? Why is the article only focused on lab testing? Just because someone replicated human epidermis doesn’t mean that all animal testing will stop. Even if it does, that will likely take a while. Not to mention the fact that research dependent on skin is only a small part of animal testing. I will not go into the bad grammar and the lack of sources, but I find most of these articles useless because they don’t cite the actual studies or even a journal article. The way this reads, it sounds like the animal testing “conclusion” was slapped onto a press-release from the lab by an anti-testing advocate. Even if this artificial skin were useful for certain testing, there is no reason to think it would effective in testing compounds which pass through the skin and can affect underlying tissues and remote organs. …author needs Shrunken White, ah, Strunk and White, verbiage repellant. good news. Omg.. shrunk and White!!!! I got mine!!! Written in the style of Nigerian spammers. yuo people will cry aBOUT ANYTHING.. heres a great study and you complain about how the article is written . your dumb. I typed this was to make you even more mad ! you made me laugh ! sorry.. i meant to say that I almost soiled my undies bc of that impromptu spelling lesson… hahaha..
Glad to hear of this breakthrough as an animal advocate, although I agree with Anon that it’s written quite poorly, as if English is the author’s second language. Is English the writer’s first language? Because it definitely doesn’t sound like it. This article is extremely poorly written, and does the author have ANY scientific background? Because again, nothing in the article suggests that the author can even spell science, much less understand it. Finally, the article has a lot of words but says nothing. I hope that writing is ‘not a day job’ for the author, because they should find a new one. This is an article to sell add space as are 90% of the articles found on Google news. Wake up. There should be a way to filter these out and there probably is. But that wouldn’t sell add space. Omg, holy gee, YOU’RE RIGHT !!! Like, duh… right? I feel so dumb right now… I’d like to use my “i was drunk” card now, please.